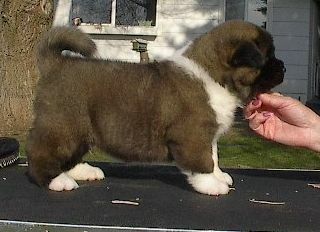 Chief son of Scout & Cowboy and the newest addition to the Doty, MaJer and Crown Royal family. 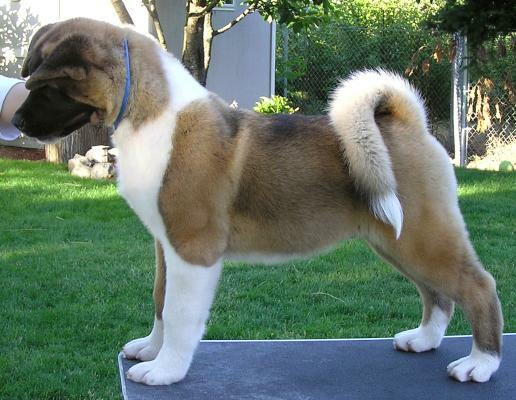 Chief has the bone, coat rear and front that both Scout and Cowboy have been producing! 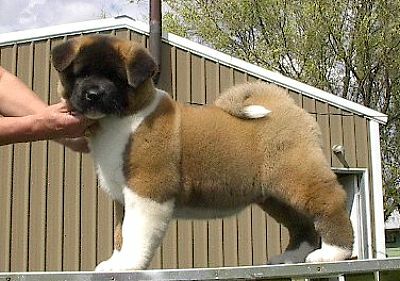 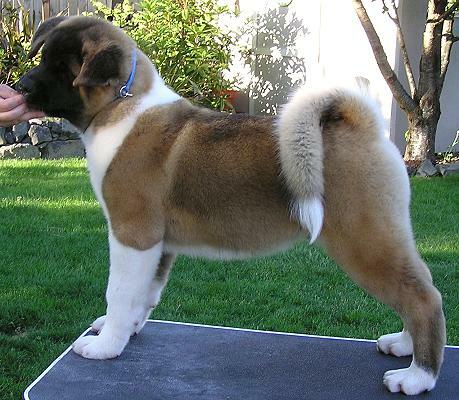 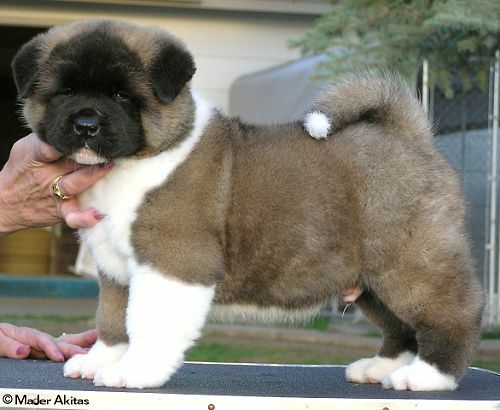 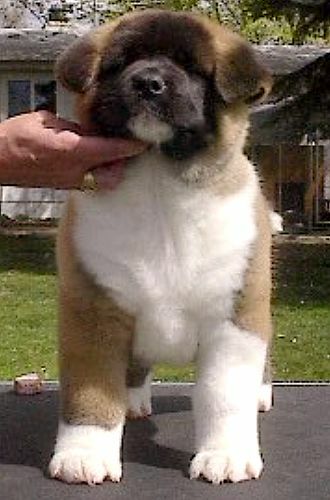 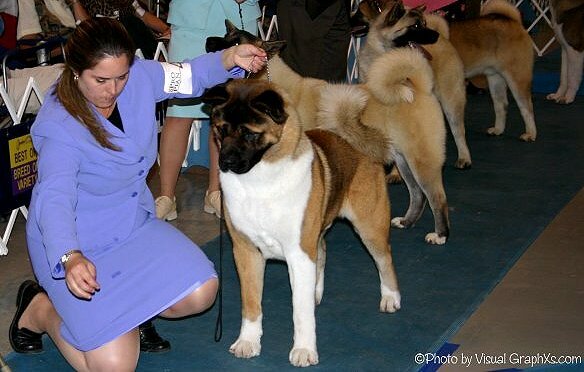 Needless to say he has a head piece to die for that already fits the Akita Breed Standard! 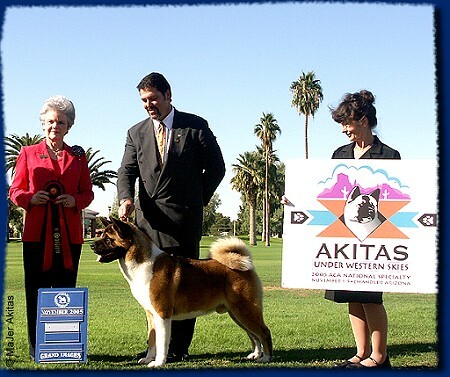 Pictured here Chief attended the 2005 Akita Club of America, he was beautifully presented by Dan Overstreet of American Akitas and received an Award of Merit by respected judge Mrs. Michelle Billings! 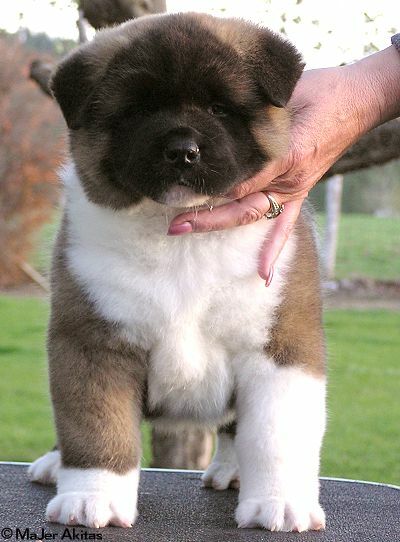 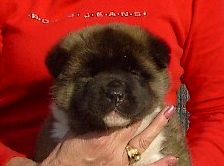 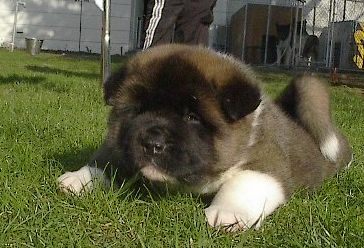 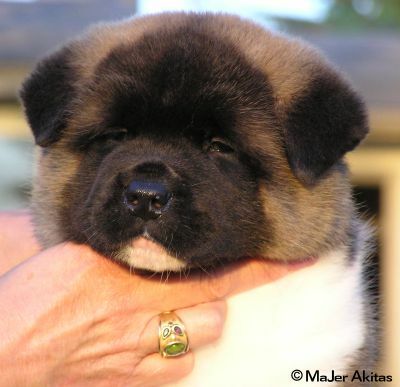 This photo was taken by Suzanne of Dayami Akitas... thank you Suzanne and thank you Dan for presenting our young son! 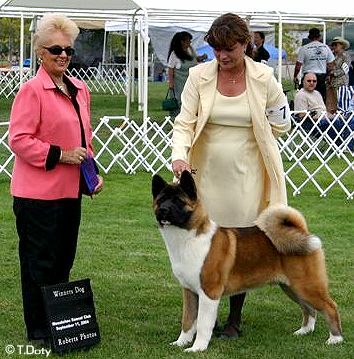 Chief debut's at his first show was awarded Winners Dog for his first AKC points just turning six months old that day of the show under the very respected judge Mrs. Judy Doniere. 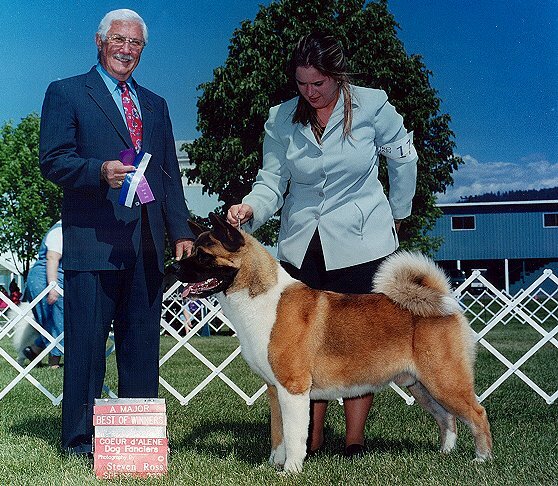 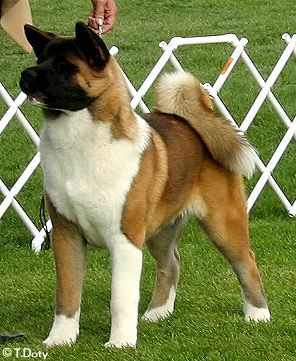 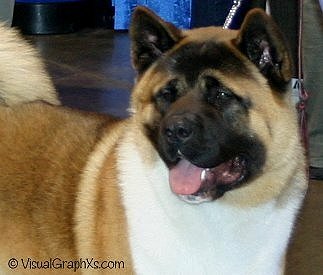 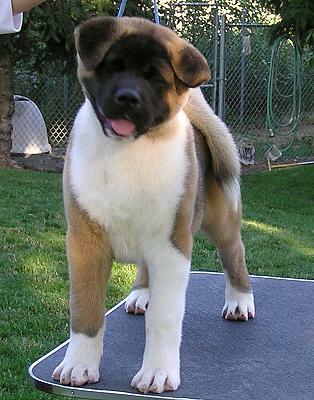 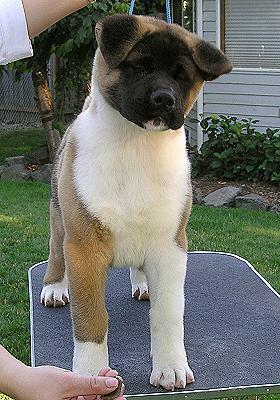 Chief then makes his debut at Canada's largest dog show, he was awarded WD/BOW for his first 4-points being a supported entry at the Akita Action Specialty under Mrs. Jean Fournier. 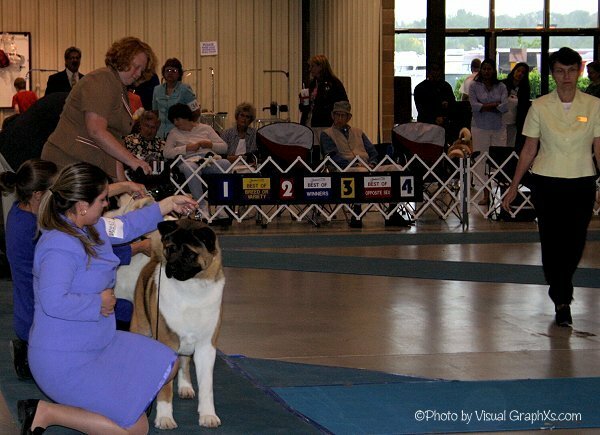 Chief finishes his Championship going Winners Dog and Best of Winners for a 5-point major at the RMAC Regional Specialty under Mrs. Donna Buxton to finish his AKC Championship! 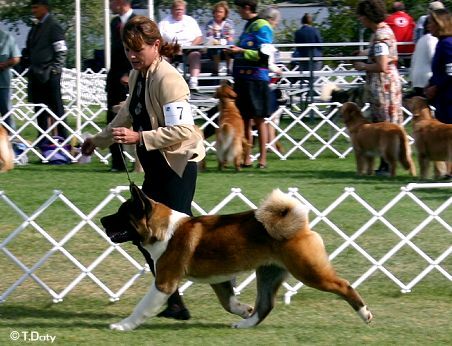 5 major wins four of them were Back-to-Back! 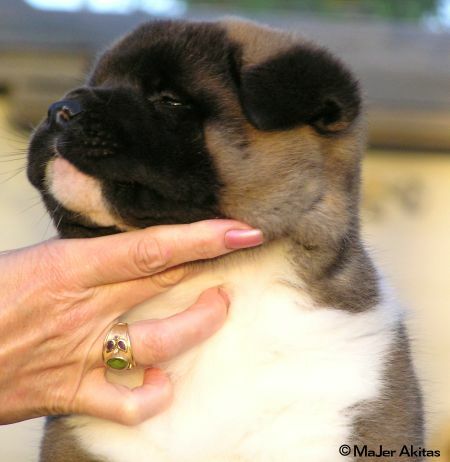 Watch for this boy as he matures! 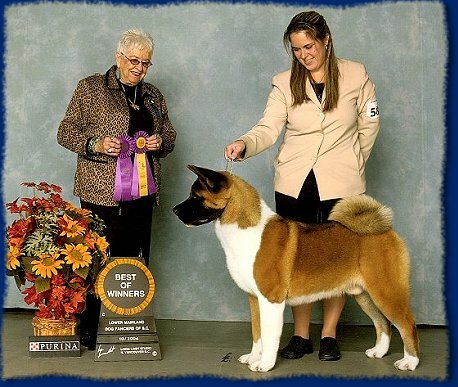 In the meantime he we will work on finishing his Canadian Championship.